Coursebooks are significant in working out a college assignment, but if one has to compile a comprehensive version of report, has to go to the option of research. Just like books has certain advantages, research is at the same time important in academic projects. We are here making a comparative analysis between coursebooks and research, focusing on which is more adaptable and effective in delivering a good essay. For essays, the basic track sets up in the classroom where teachers declare the scope, purpose, objective and even conclusion that is going to come of the college assignment. The second guide are the coursebooks, which carry all the useful information to plot different segments of the essay. Now the real work begins with research, which guides the student on how different segments of the essay will be prepared. So textbooks give the initial push, where research extends the conduct and the practice. 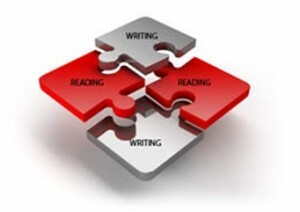 In the first initial step for compiling effective essay, a student has to take support of both, textbooks and research. Both remain important in this seeding process of academic compilation. Generating an idea of what the assignment will be about, what its major areas will concern and what it is going to bring for the reader in essence are some important steps of compilation. Coursebooks are good and essential in these steps, if the student has kept a narrow scope of his essay. But, if the writer wills to choose the larger perspective, the wider of the scope, then would be requiring research on hand. Comprehension and knowledge could not be brought in the essay, unless the writer is extensive with research and analysis. Research naturally leads the writer to various different books, reports, articles and journals, which naturally raise the perspective and the version of the writer on essay. On the other hand, books keep the writer to one specific perspective, which is the version of the author or the editor of the book himself. Again, picking up theme is rich if writer goes for research, and is objective or non-subjective, if the choice is entirely of the textbooks. It has been like coursebooks provide the very basic interpretation or knowledge on the subject. On the other hand, research which bring different academic sources into use, give an effective and detail interpretation on the subject. A textbook student is always an objective interpreter, where as a research fellow is always subjective in his approach and conduct of interpretation. Composition that includes the structure, the formatting is always in hand of the student relying on textbooks. 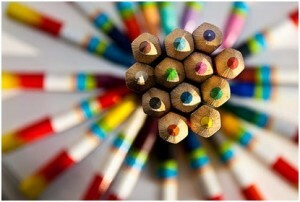 A textbook student always have good command in composition and structuring. The research-oriented writer is always up on different things, not stick to one particular standard or following. In simple words, textbooks are good guide for composition, where as research always change with adaptation and composition. Every researcher has its own method of structuring the essay. 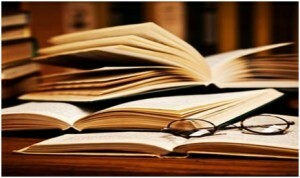 Analyzing the use of textbooks and research, it could be concluded that both method stand worthy. On some instances textbooks are important and play a significant role, and at some point research becomes the key. It could be drawn as conclusion that both textbooks and research are important for delivering an effective essay. No matter, how time changes academic methods, both remain vital in essay and academic writing. This entry was posted in Essay Help, Essay Writing and tagged Textbooks or Research for writing an effective college essay, writing an effective college essay on December 8, 2015 by ehu_wp_11.